I have mixed feelings about this memo. On the one hand, as I suspected since I first heard about it, I am underwhelmed. Nunes and the rest of the Republicans in Congress have over promised and under delivered. A naive, superficial, and non-political interpretation of the memo would suggest that all the partisan and media turmoil was over nothing more than a single surveillance warrant that may or may not have been authorized with less than stringent adherence to standards. This is not to minimize the importance of Fourth Amendment protections, but this alleged breach could have just as easily been addressed without all the drama. Of course, there is more to the story than this. The real motivation was purely political. While seemingly protesting the issuance of one warrant, the real purpose was to not so subtly imply that elements the FBI and the DOJ are unprofessional, and specifically that the Steele Dossier, which also just happens to have formed the basis of the Mueller investigation of Donald Trump, is not to be relied upon. Some of the less principled Trump supporters are already calling for the firing of Rod Rosenstein and Robert Mueller based on the contents of the memo. The memo provides nothing that we didn't already know or strongly suspect. On the other hand, it concisely summarized for the less interested public what many may have been ignoring due to the subject's complexity and a lack of consensus. 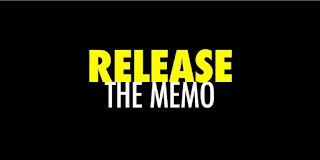 It seems to me that the memo has two goals: 1) Expose errors in the FISA application process against Carter Page and, 2) in that effort, expose major flaws in the Steele Dossier itself. The first goal reveals, at the very least, a lack of competence on the part of the investigators and possibly, though not certainly, a lack of integrity. The second goal uncovers flaws in the Dossier which was not just the basis for the Page FISA application, but the basis for the entire Trump/Russia investigation. The Dossier is much more fundamental to the progress of the Mueller investigation than any mistakes, willful or otherwise, that the FBI made with regards to Carter Page. The Dossier started the Trump probe. Carter Page was just one small element in that investigation. Undermine the Dossier, and you can at least claim, though not credibly in my opinion, to undermine the entire basis of the Trump investigation. First, the attack on the FISA process. On page two of the actual memo it claims the Dossier "formed an essential part of the Carter Page FISA application". It didn't say it formed the only part. That could prove to be significant phrasing. The speculation before the memo's release was that the flawed Dossier was the "only" supporting information for the FISA warrant. For all I know, there may be corroborating evidence other than that listed in this memo, to support the issuing of the FISA warrant. Maybe that's what the Democrats meant when they said the information in the memo was incomplete and misleading. We'll have to wait for the Democrat's memo to find out. The memo spends a great deal of time shooting holes in both the Dossier and its author, Christopher Steele (with great effect, and for reasons I've already explained.) 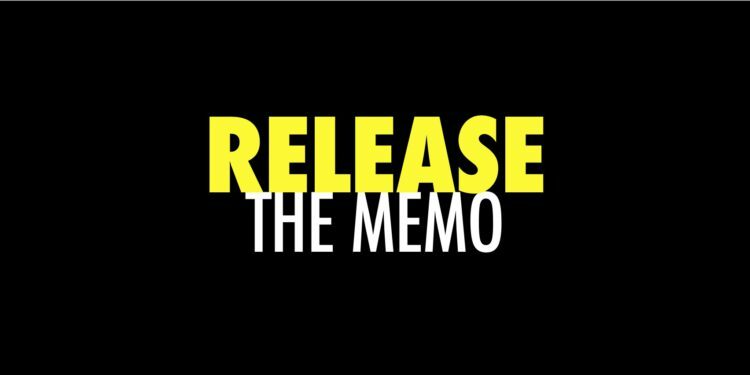 I already disregard most of the Dossier, but I doubt the memo will convince rabid Trump haters to abandon it. But the anti Dossier attack is largely a straw man argument anyway because, as I said, the memo doesn't claim that the Dossier was the only source, but just an essential source. So destroying the Dossier doesn't destroy the legitimacy of the Carter Page warrant. It may just appear to do that on a superficial reading because the memo represents the Dossier as if it is the sole justification for the warrant even as they acknowledge that it wasn't. Later in the memo, they acknowledge that the Papadopoulos information was used as corroboration. A New York Times article from December 30, 2017 already told us that. At the time I viewed that as the conspiracy theorists scrambling to latch on to a new narrative as to why Trump was guilty as the Dossier story was falling into disrepute. I still believe that is true to some extent, but there seems to be at least some merit to the position that the Papadopoulos information played some part. On the one hand, the memo makes clear that the investigation began in late July 2016 when an Australian diplomat informed the FBI that Papadopoulos was talking about Russians having Hillary emails. . That predates the timeframe when the FBI became aware of the Dossier which was in mid to late September when Steele traveled to Rome to share his information with FBI agents there. On the other hand, one should question how seriously the FBI relied on Papadopoulos' information. They learned in July about his claims of having been told by a Russia connected source that the Russians had Hillary emails, but they didn't even bother to interview him until January 2017. It is not clear whether Papadopoulos was a major factor in the FISA application. The memo says that Andrew McCabe testified before the House Intel Committee in December of 2017 that no FISA warrant would have been sought without the Steele Dossier. If that is true, then Papadopoulos would seem not to be a significant factor. Democrats are refuting that McCabe actually said that. Nunes claims that's essentially what he said. The memo didn't actually quote McCabe's exact words. So we need to have the actual transcript released so we can judge for ourselves. Nunes said that would happen, but there is a process etc. That sounds pretty vague to me, and I'm not satisfied with that answer. It should be pretty simple to figure out who's lying on that small issue once we see the transcript. Hopefully that future disclosure and the disclosure of the actual FISA applications will clarify these points. One other thing the memo does that it may not have intended to do is to diminish the strength of the narrative that the FBI used the Page surveillance to spy on the Trump campaign. Page left the Trump campaign September 26, 2016. The warrant was issued on October 21, 2016. There are still the unmasking accusations, and we don't know if any other FISA warrants were issued based on those, but so far, Trump has no basis for his claims that he (or his staff) were "wire tapped". There is another troubling aspect of this FISA process. The memo disclosed that some information presented to the court as corroboration of the Dossier, was actually not separate information from independent sources. As further justification for the FISA warrant, the application cited a Michael Isikoff article in Yahoo News as corroboration. But the memo points out that this article was sourced from Steele himself. Glenn Simpson of Fusion GPS acknowledges as much in his testimony before the House Intel Committee on November 14, 2017 (released to press Jan 18, 2018). So what is presented to the FISA court as corroboration is in fact a circular argument. I don't know if the FBI knew Isikoff's source was Steele himself. If they didn't know, then they are guilty of a mistake instead of willfully deceiving the FISA Court. If it was an honest mistake, then it can be blamed in part on Christopher Steele because he apparently lied to the FBI about his having briefed members of several media outlets. Another link in this chain of sketchy representations to the FISA court is the position of Bruce Ohr at the DOJ and his wife Nellie who worked for Fusion GPS. They continued to talk to Steele even after the FBI refused to rely on him any further for violating a promise not to disclose his position as an FBI informant. They were in a position to amplify suspicions about Carter Page when in fact the source was, once again, Christopher Steele and not an independent source. Another case of what appears to be corroboration being nothing more than circular reasoning. Also of great concern is the fact that the FBI and the DOJ never disclosed the source of funding for the Dossier. I can't see how they could argue that wasn't relevant. The memo says the FISA court was not informed that the Dossier was not an FBI product, but paid opposition research from the Clinton campaign. Democrats are claiming some vague alternative, that the court was told there were political overtones to the information or some such thing. If this is true, then this sounds like Democrats are lying. Anything short of disclosure that Hillary and the DNC paid for the Dossier is intentional misrepresentation of the character of the Dossier. All the while, Steele's potential for bias is a focus of the memo based on both his being paid to produce opposition research and his expressed hatred for Trump which the memo tells us he revealed to Bruce Ohr in September of 2016. All in all, the memo makes a pretty good case that the warrant application was at least flawed, most would admit sloppy, and some would say, with some justification, intentionally misleading. The Dossier and Christopher Steele come out looking pretty bad. The Democrats and the FBI can disingenuously claim that their opposition to this memo was a sources and methods concern, but that is bogus. There is some disclosure of FBI methods in that the memo refers to a "source validation report" by a separate FBI department, but that's hardly giving away the farm as to FBI procedures. Why were Democrats running around with their hair on fire claiming this memo release was reckless and irresponsible, when a) we now see that there is nothing in it to jeopardize sources and methods, and b) they are now claiming it is a big nothing burger? Which is it? End of the world or nothing to see here? If their best argument now is that the information is incomplete and misleading, why wasn't that the argument all along? This suggests they are playing politics. The Democrats have been the ones all along who didn't want this investigation to go where Nunes has taken it. They resisted every step of the way., They didn't want to pursue the DOJ and FBI documents on the FISA applications. They resisted compelling Fusion GPS to reveal the name of their client. Without that information, we'd never have know that Clinton and the DNC paid for the Dossier which was such a critical factor in this whole investigation. Conversely, to offer some criticism of the Republicans, why not release the source information and the Democrat's memo now instead of Nunes' vague, less than thoroughly credible promise to do it in the future. Both sides could make their cases look more plausible and less political. I can see why the Democrats opposed this memo so strongly. It undermines the Dossier which formed the entire basis for the Trump/Russia investigation. Their complaint that there are omissions of fact will bear some watching. I eagerly await the release of their memo. I'll be curious to see the McCabe transcripts as well if they are ever released to learn exactly what Andrew McCabe said to the House Intel Committee about how essential the Dossier was in obtaining the warrant. There is one other thing I'd love to see. Ben Wittes from Lawfare and the Brookings Institution was on Meet the Press on MSNBC the afternoon that the memo was released. He pointed out that there is one perfect, trusted source to resolve the question of what the FISA Court saw in considering its warrant against Carter Page, and that is the FISA court itself. The complete warrant submission documentation would be the best way to judge, but if that is too revealing of sources and methods, then how about a statement from all four FISA judges, one each for the original submission and the three renewals. They could simply tell the American people whether, knowing what they know now, were the FISA applications that they ruled on complete and accurate as the Democrats claim, or deficient, incomplete and misleading as the Republicans claim. That should be pretty easy. Wittes suggested that we might actually expect just such a thing to happen. I hope he is right, no matter what we learn. We'll know if Nunes is expressing a valid concern, or just shilling for the president. In the mean time, I also want Nunes to act quickly to release the McCabe transcript, and the Democratic memo. Even with all this drama and speculation about the Carter Page warrant, I wonder if the warrant is a red herring. The real purpose of the memo wasn't to undermine the FBI and their FISA application process, even though it had that effect. The real purpose was to undermine the Dossier. If the only support for the warrant is what we've seen so far, then I think the Republicans have made their case. I'll be interested to see what the Democrats or the FBI can come up with to change my mind. I can also see why the FBI wanted to avoid disclosure. They look stupid, and/or sloppy, and/or willfully biased. I can see why some will say this threatens Rosenstein and Mueller, but I wouldn't agree that Republicans have made a valid case against either of them. The argument against Rosenstein is that he signed one of the warrant applications. That's true, but pretty bland stuff. We'll see. Nothing here implicates Mueller in any wrongdoing, but it does undermine the Dossier, the initial basis for his investigation. I think that using that as a basis for firing Mueller is also a bit of a stretch. Trump's base may buy it, but nobody else will. And Trump's base don't need a phony baloney pretext to fire Rosenstein and Mueller. They're ready for it right now. Here's what I suspect may be the real purpose of the memo. I believe that it was political. Anybody following the story already knew the elements of the narrative and either accepted or rejected them based on their politics or reasonable assessment of the particulars. So I doubt many minds will be changed. Some on the fence may be convinced. And I acknowledge that someone may think this builds a case to support firing either Rosenstein or Mueller or both. I kind of doubt that, but it's possible. What I really think may be happening here is Republicans are laying the groundwork for excluding evidence if charges are ever brought. Mueller may make a legitimate case for some sort of Trump malfeasance.I believe that if this ever happens, it may be related to tax evasion or money laundering or some such Russian mafia related goings on. Nothing to do with collusion. If there are ever charges of this sort, then and only then, obstruction of justice charges could go along with the financial crimes. And if any of this ever comes to pass, Trump will claim that the evidence can't be used because it was only discovered subsequent to an investigation whose premise was a false Dossier, and therefore all the findings Mueller presents are inadmissible as fruit of the poisoned tree, or whatever the lawyers call it. It's kind of a long shot explanation but worth considering. My understanding is that defense attorneys always try to exclude evidence on some bogus grounds, and they're rarely successful. But it's one way to interpret the facts here. 1) Discredit the competence and/or the integrity of the investigators. Absolutely warranted (no pun intended) if they willfully misrepresented the facts. Gratuitous cheap shot if it was an honest mistake. 2) Discredit the Dossier. Based on what I know, a valid purpose. The document, the identities and motives of its authors and its sponsors, and the lack of any substantive corroboration provide good reason to question its authenticity. 3) Discredit the basis of the Trump investigation itself. Valid reason for the bogus stated purpose of showing collusion. I'm open minded about the possibility that Trump may be guilty of financial crimes, though I know of no proof. I hope the Mueller investigation continues. 4) Establish in advance the justification to attempt to exclude evidence if that becomes necessary in the future.